Just finished my second Watercolor piece from what is turning into a full “Italy” Series. The frame is a loaner, I mostly just wanted to keep the piece protected until I could do something with it. I’m pretty darn happy with it. Watercolor is so different from Oil. I spend so much of my time plotting and drawing and blocking in dark colors. I feel that the final product looks both sharper than my usual work and also looser. This will definitely be something to see in person either at Sundog, Saskatoon or Wintergreen, Regina this winter. 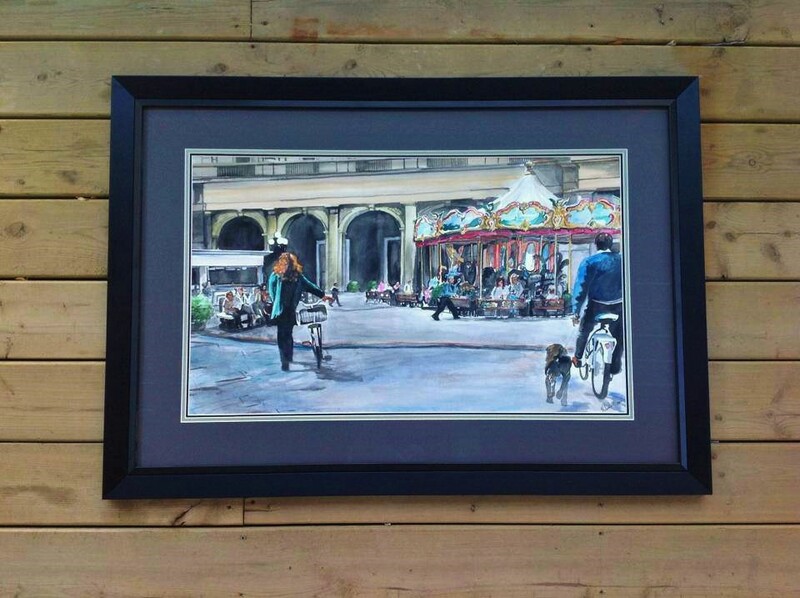 This entry was posted in Uncategorized and tagged art, bike, carousel, florence, Italy, travel, watercolor by michhoppe. Bookmark the permalink.